New Book Reveals: How You Can Become Successful, Happy, and Fulfilled! Learn How, In Just 30 Days, You Can Put an END To Your Frustration And Feel More In Control Of Your Life Than Ever Before... GUARANTEED!! Are your choices in life making your life difficult... maybe even miserable? First, you are NOT alone! It may seem like it sometimes, but unhappiness and dissatisfaction from life is far more common than you’d think. I ought to know, because I’ve helped myself and dozens of other people with the exact same problem. Let me repeat that: If you’re constantly beating yourself up over your inability to control your self sabotaging behaviour, you’re wasting valuable energy, because you’re not to blame. But make no mistake: Your self sabotaging behaviour may not be your fault, but that doesn’t mean that you shouldn’t -- or can’t -- do anything to STOP it! I mean, think about the toll it’s taking on your personal life. So today -- in the next 5 MINUTES, in fact -- I’m going to help you STOP the blame game, and learn how you can quickly and easily get your LIFE under control... for GOOD! 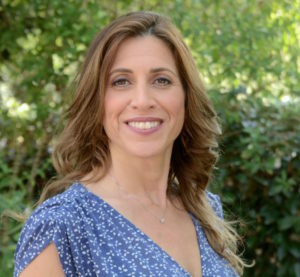 Hi, my name is Galit Goldfarb. As an owner of Liv Gold Inc. an association of businesses sharing a common purpose of helping others achieve the life of their dreams. Our goals are to help people through education to become master over every aspect of their lives. We educate people through our courses, online training programs, through self improvement books, retreats and seminars from our different business branches, each dealing with a different aspect of life. Research has shown that it is the way we perceive things that will affect our behaviors and our mood. If we change our attitude about things and on what we focus upon, we can create the right mindset to create and maintain any goal, including any health and weight loss goals we may have. In the past, I was personally dealing with major issues in all of the important fields of life. My daily living was very difficult. I was raising my two mentally disabled girls alone, I was not in a relationship, my financial situation was a total mess, and my health was terrible as I was suffering from addictions. My lawyer came to me and explained that if I didn’t get my financial act together there was a possibility that my girls would be taken away from me. I then began to change my mindset about earning money and about life in general. I started to read books from the most influential self-help authors and gurus who ever to have lived, and over a period of twelve months I changed my life completely around. I researched the writer’s methods and examined people that were highly successful in life in order to learn their secrets. This period involved much personal transformation for me as I delved deeply into changing irrelevant and non-useful beliefs and behaviors that I held. I found out that my programmed default neural networks were constantly getting me on thought patterns that were unsupportive of success in any and all fields. Once I learned the tools to change these thought patterns, I realized how I was personally sabotaging any possibility of success for me. I changed my thought patterns and behaviors drastically as a result of my research, and created for me the amazing life I dreamed of having, all through the science of neuroplasticity. I physically changed and reprogrammed my thought patterns by focusing them on what I wanted rather than what I didn’t want. I summarized the methods I learned into 6 easy to follow principles which I personally used during this period in my life to allow me to live the life of my dreams! This book will help you to reach your true full potential of becoming fulfilled, happy and successful. I have found that A PERSON IS LIMITED ONLY BY THEIR CHOICES IN LIFE! This book series will help you to make successful choices in all aspects of life. I understand exactly what you’re going through... and my book “How To Achieve Success and Happiness" is the best place to start making that change. ... Because I’ve taken all of the strategies I used to help myself and many others end their self sabotaging behaviours, and put them all into a simple to follow program that is precisely described in this book, which you can claim in the next 5 minutes! What can my 5 book series “How To Achieve Success and Happiness” do for you? And it will work for you even if you’ve tried everything else, without success... and even works if you’ve been living with self sabotaging behaviour your entire life! PLUS... Order TODAY, and I’ll Include This amazing Super Bonus, To Help You Get The MOST From my 5 book series “How To Achieve Success and Happiness"! A $197 Value, Yours for half the price! Or you can act TODAY, and get my comprehensive, step-by-step strategy to help you begin to make successful choices in life from this moment on. 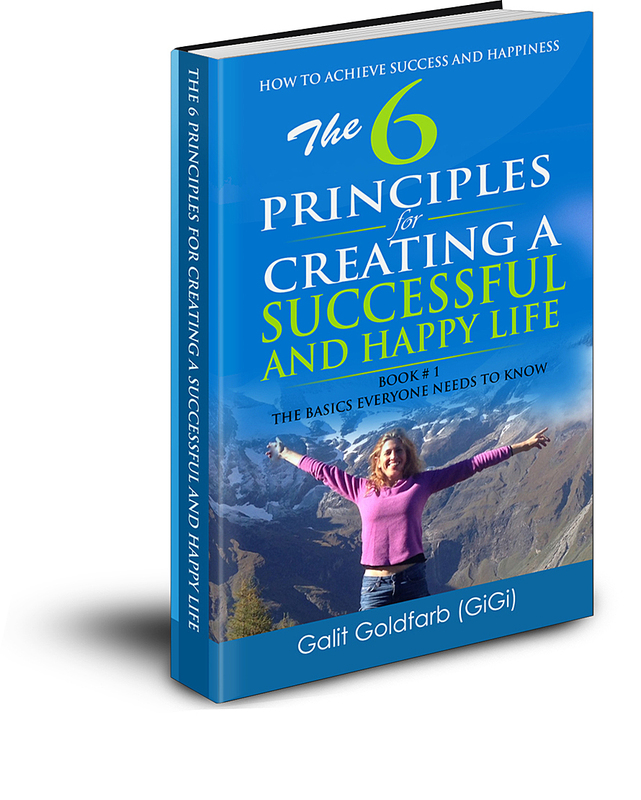 Claim The 6 Principles For Creating a Happy and Successful Life Book Below, And You Can Be On Your Way To A Life Of Success, Happiness and Fulfilment In The Next FIVE MINUTES! P.S. Remember, the super bonus is only available to those who purchase the book. So to get yours, you’ll need to claim your copy of “The 6 Principles For Creating A Successful and Happy Life”! I assure you will love what you’ll learn!